30 December: Mid-Argyll: a female Blackcap has been visiting a garden at Manse Brae in Lochgilphead over the last week and has been aggressively chasing other birds away from food….and today it was joined by a male! (Neil Vassey). Islay: a Cackling Goose feeding with Barnacle geese at Ballinaby yesterday at 1500 (Mike Peacock) and reported there again today (Ian & Margaret Brooke). 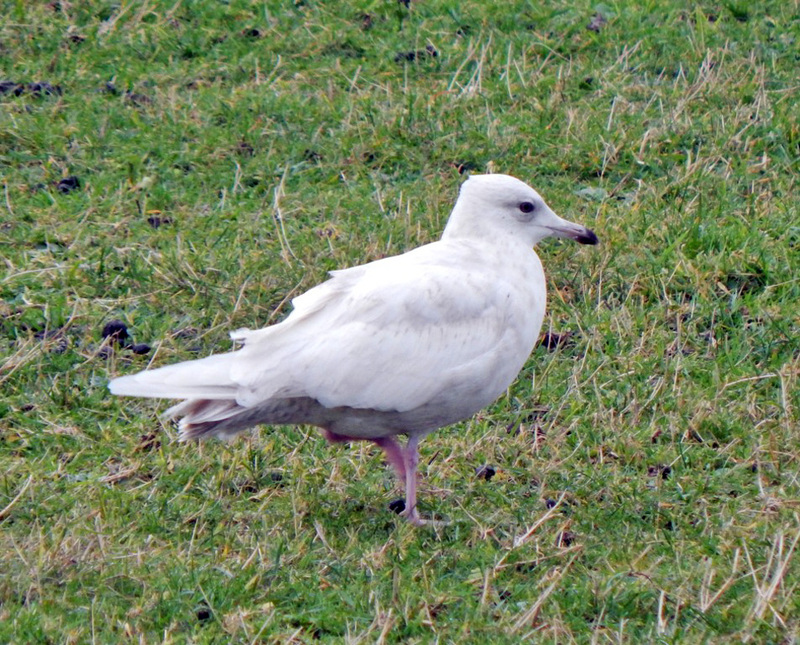 Also a Glaucous Gull opposite Whin Park, Loch Indaal (Dave Nevitt per Ian Brooke). 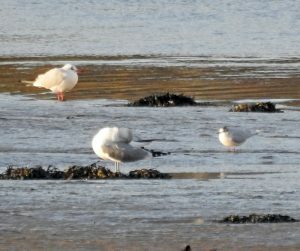 28 December: Mid-Argyll: an adult Little Gull at Loch Gilp, also 122 Black-headed Gulls and 20 Bar-tailed Godwits (Jim Dickson). Cowal: At Cluniter, Innellen this morning, 28 Ringed Plovers, 30 Turnstones and 2 Dunlins then late afternoon at the Holy Loch 12 Little Grebes (Alistair McGregor). Little Gull – Loch Gilp, Mid-Argyll 28 Dec (Jim Dickson). 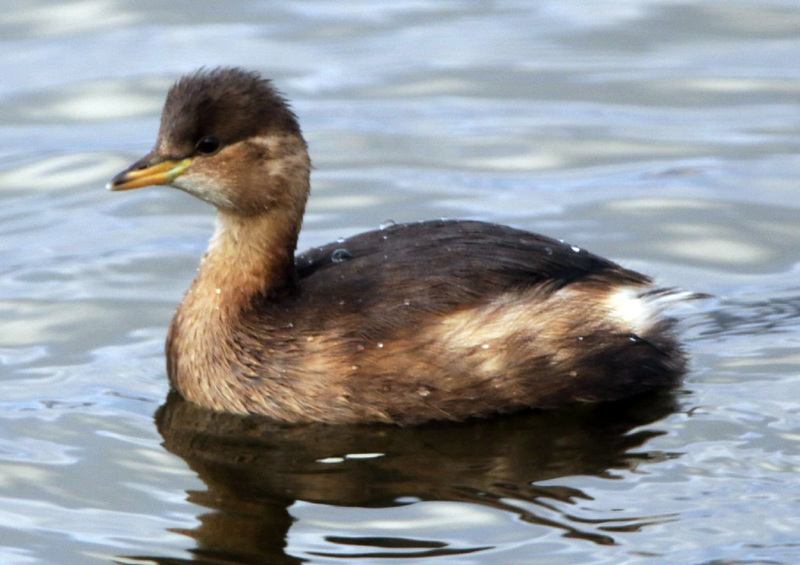 Little Grebe – Holy Loch, Cowal 28 Dec (Alistair McGregor). 25 December: Wishing you all a Merry Christmas. Islay: This morning we looked again in vain for Gyr Falcon. At the RSPB Loch Gruinart – 500 + Teal along with a very nice drake Green-winged Teal, other highlights were 30 Shovelers, 1-2 Pintail and 130 Golden Plovers. At Loch Indaal to Bowmore: 30 Brent Geese (7 more at Bruichladdich), 6+ Slavonian Grebes, 10 Great Nothern Divers, 8 Goldeneye, 7 Common Scoter and 4-5 Long Tailed Ducks. Two of the L T Ducks were in the harbour amongst the moored boats in good light – a real Christmas treat (Peter Roberts). 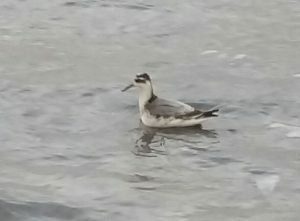 A Grey Phalarope was seen at Ardtalla…very tame about 15 feet away (Brendon Hollands per Ian Brooke). Mid-Argyll: the male Blackcap still in the garden at Scammadale (Bill Allan/Anne-Lise Dickie). 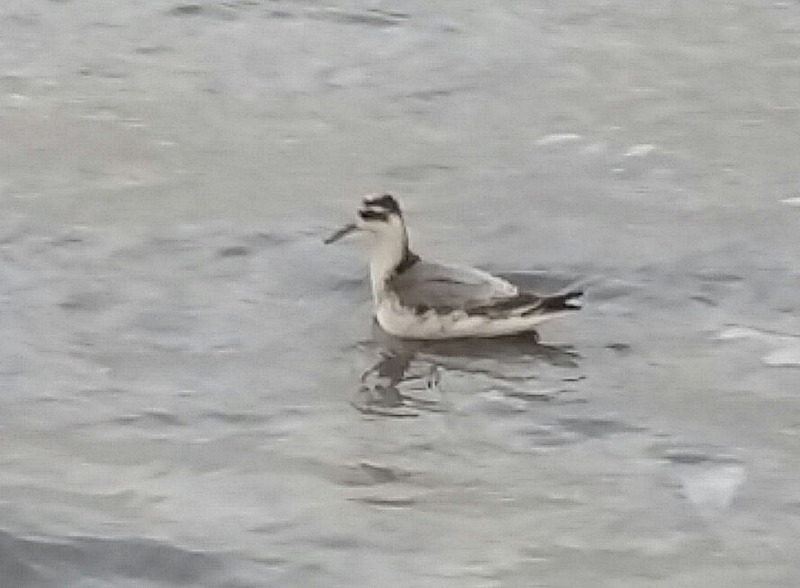 Grey Phalarope – Ardtalla, Islay 25 Dec (Brendon Hollands). 24 December: Mid-Argyll: A Kingfisher again at Loch Gilp today (David Jardine). 23 December: Islay: Peter Roberts and Mike Peacock had a search for the Gyrfalcon today without success, however the weather was awful. 22 December: Mid-Argyll: In my garden at Scammadale… nearly trod on a male Blackcap… it was obviously very tired and hungry as just concentrating on the food I put out (Anne-Lise Dickie). ). A Long-tailed Duck on Loch Ederline today (rare away from the coast) (David Jardine). Islay: A report of a Gyrfalcon near Rockside this morning (George E Jackson). 19 December: Tiree: A Juvenile Glaucous Gull at Loch Bhasapol plus 1 Coot there. 1 Grey Plover at Loch a’ Phuill – very unusual to see one away from the coast here in winter, also 1f Greater Scaup there. 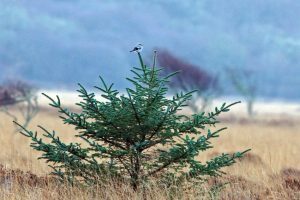 1 Goldcrest at The Glebe – Tiree’s first ever mid-winter record. 4 Little Grebe at Loch Riaghain (John Bowler). Cowal: a productive Holy Loch WeBS for George Newall with highlights: 59 Wigeon, 105 Teal, 71 Mallard, 67 Eider, 7 Goldeneye, 11 Little Grebe, 232 Oystercatcher, 5 Ringed Plover, 9 Lapwing, 1 Bar-tailed Godwit, 104 Curlew, 67 Redshank, 11 Turnstone, 4 Black Guillemot, 2 Dippers. 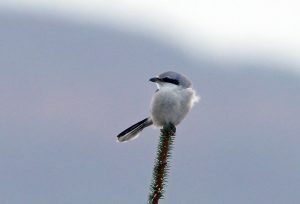 Mid-Argyll: Moine Mhor: no sign of the Great Grey Shrike today (Jim Dickson). 17 December: Mid-Argyll: The Great Grey Shrike showing well this morning at the Moine Mhor. While watching it 3 male Black Grouse and 2 Woodcock flew over it. Later a f/imm Hen Harrier was there. 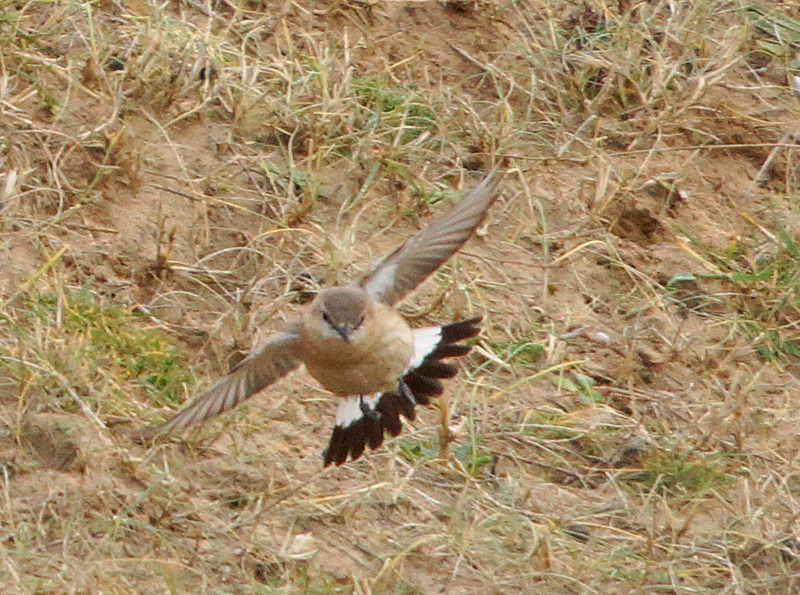 The shrike was more over towards the Crinan ferry road in the afternoon. Also 2 Grey Wagtails at the Crinan Canal in Cairnbaan (Jim Dickson). Cowal: 26 Purple Sandpipers and 3 Turnstones at Crazy Golf, Dunoon this morning (George Newall). Great Grey Shrike – Moine Mhor 17 Dec (Jim Dickson). 16 December: Islay: Ian Brooke has been in touch to pass on the SNH island International Goose Counts carried out on Monday and Tuesday with the tallies coming through at 45,714 Barnacles, 5,585 White-fronts and 556 Greylags. Also a drake Green-winged Teal at RSPB Loch Gruinart yesterday (James How). 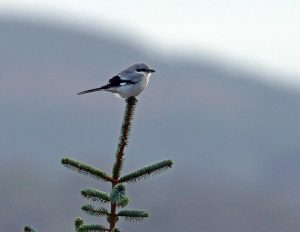 Mid-Argyll: A Great Grey Shrike found late afternoon at the Moine Mhor 1.2 km north of the Islandadd bridge and east of the B8025 (Mike Hoit). 14 December: Islay: 142 Common Scoters, highest count so far, all in one flock feeding Loch Indaal, directly out from Port Charlotte. Also 55 Wigeons flying out into the loch at first light (stubble feeding?) 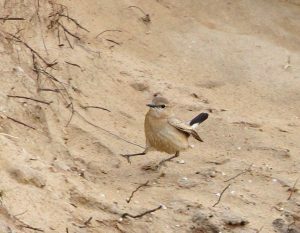 and a Grey Wagtail on the beach (Mike Peacock). 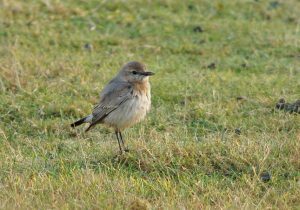 Tiree: a 2CY Iceland Gull at Barrapol today (presume the bird that over-summered here), 1 Carrion Crow at Kilkenneth ( the first here for several years), 1 Coot at Loch Bhasapol, 7 scattered Fieldfares around Tiree over the last two days of goose counting and 1 Kestrel at Barrapol (John Bowler). Iceland Gull -Barrapol, Tiree 14 Dec (John Bowler). 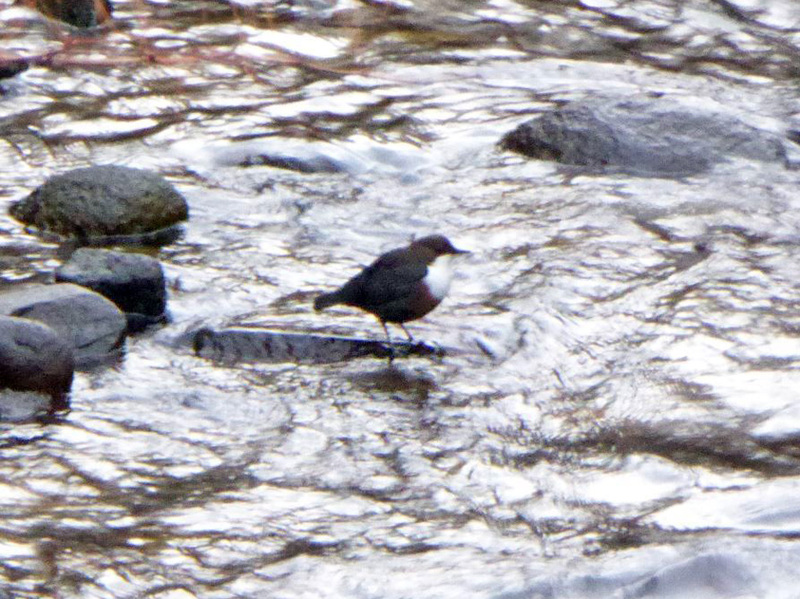 12 December: Mid-Argyll: the Moorhen was still on the Lusragan Burn in Connel this morning, as were two Dippers. 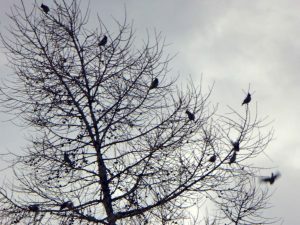 A small flock of about 12 Waxwings were around too, but not settling long enough for a good photograph (Mike Harrison). 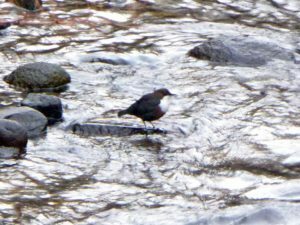 Dipper – Connel, Mid-Argyll 12 Dec (Mike Harrison). 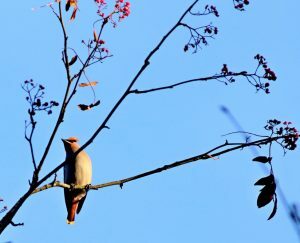 Waxwings – Connel, Mid-Argyll 12 Dec (Mike Harrison). 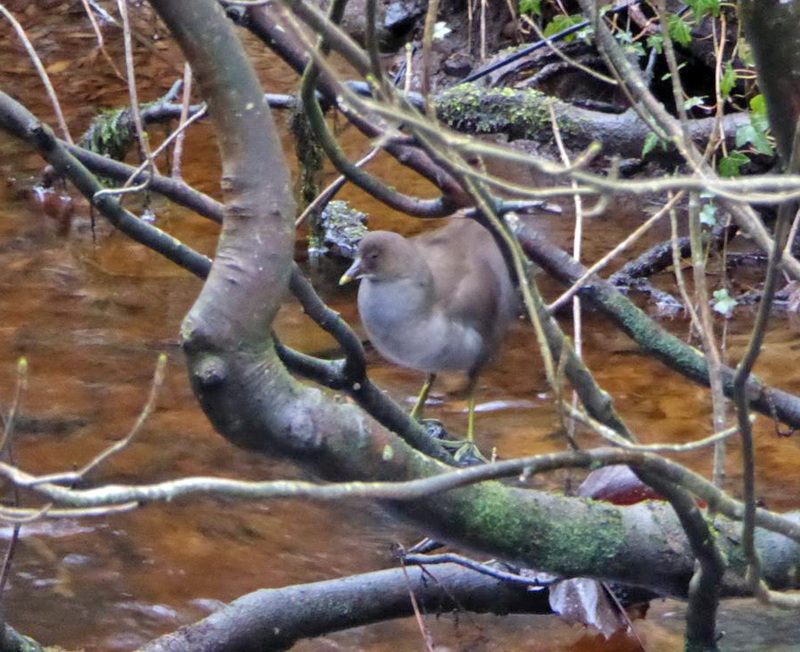 Moorhen – Connel, Mid-Argyll 12 Dec (Mike Harrison). 11 December: The Argyll WeBS Counts for November 2016 have now been submitted and have been added to the website– click on the WeBS Count tab to see the table. 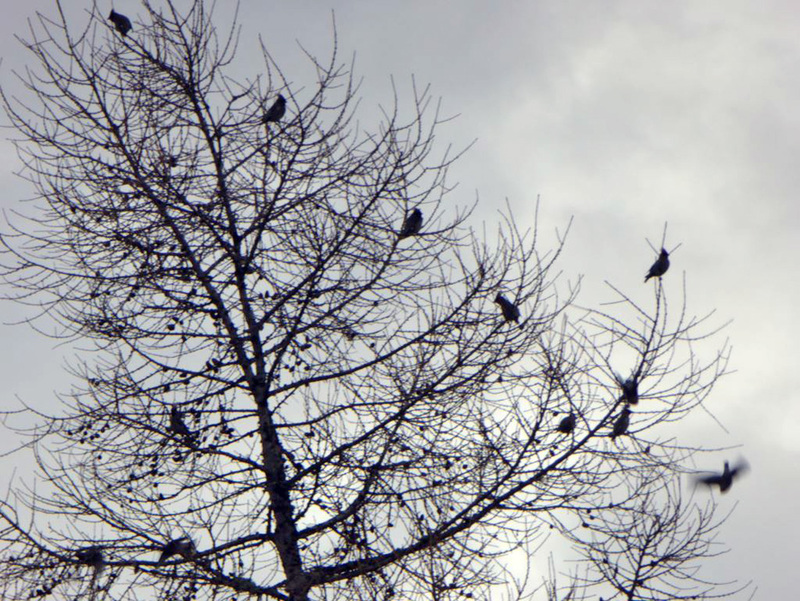 Cowal: near Glendaruel a flock of at least 13 Bullfinches flew across in front of the car and settled on a small Larch tree. Most if not all were bright males. Also a report of a Buzzard carrying an Oystercatcher (Tom Callan). 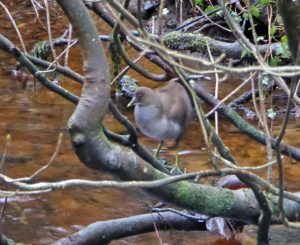 10 December: Mid-Argyll: A juvenile Moorhen has been pottering about in the Lusragan Burn in Connel for the last few days, eight years since the last one was seen here (Mike Harrison). 09 December: Mid-Argyll: only 5 Greenland White-fronted Geese at Barsloisnoch farm (Moine Mhor), this wintering population continues to decline each year. Also 1 Barnacle Goose there with the Canadas (Jim Dickson). 08 December: Cowal: a flock of 17 Bar-tailed Godwits at water’s edge on Otter Ferry Spit. 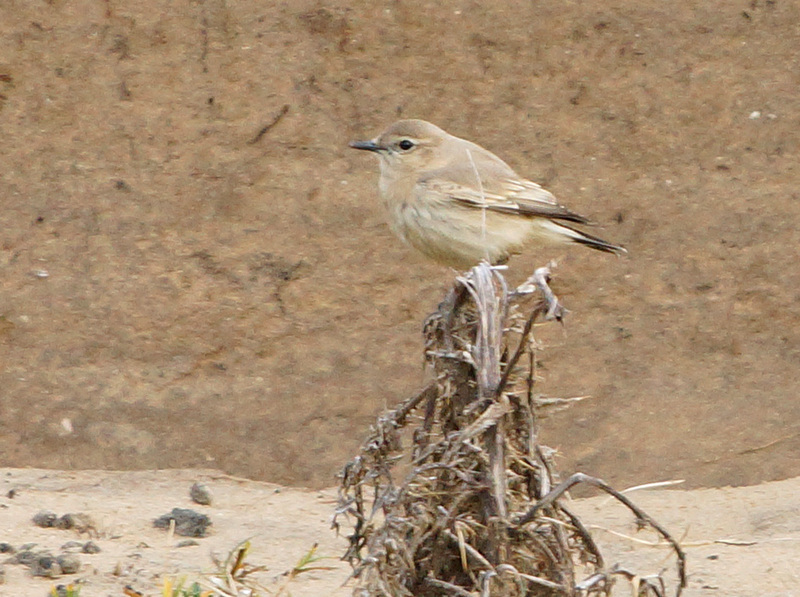 Unusually high number for there (Tom Callan). 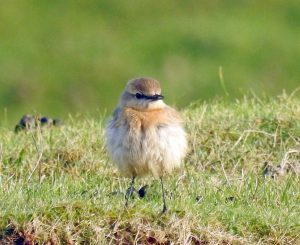 Tiree: the ‘Siberian’ Chiffchaff again at Balephuil today, 1 Coot at Loch Bhasapol and 1 f Greater Scaup, 2 Pintail and 9 Goldfinch at Loch a’ Phuill (John Bowler). 06 December: Mid-Argyll: A Kingfisher on the Lusragan Burn brightened up a dreich morning in Connel (Mike Harrison). 05 December: Tiree a single Coot was new at Loch Bhasapol today, becoming increasingly rare. A Dunnock at the Glebe and a Caerlaverock-ringed Barnacle Goose at Sandaig (John Bowler). 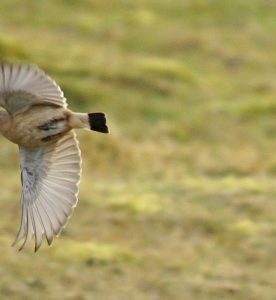 Mid-Argyll: 3 Snow Buntings near the windfarm east of Ormsary (Errol Crutchfield). Treecreeper – Corra Farm, Cowal 5 Dec (Tom Callan). 04 December: Mid-Argyll: a single Pink-footed Goose at Barsloisnoch Farm (David Jardine). 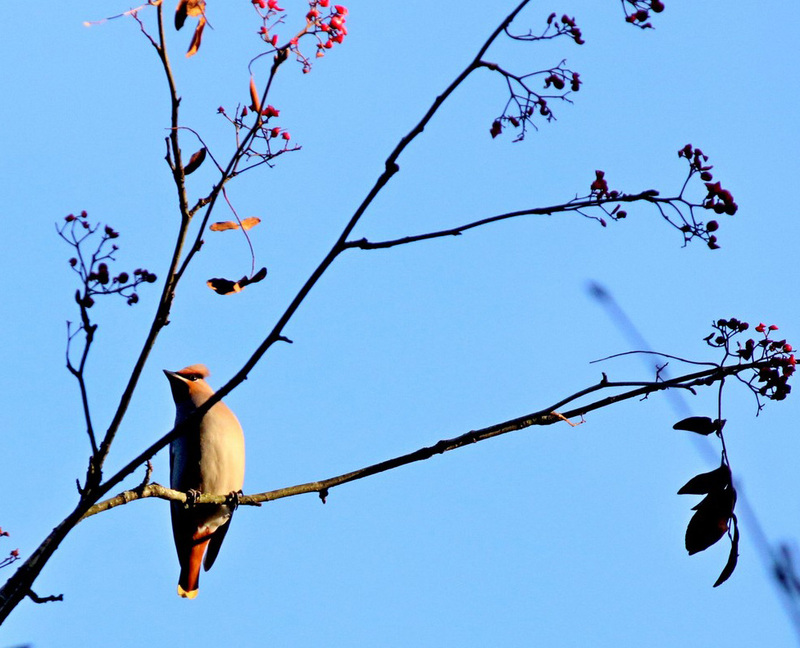 Cowal: 10-14 Waxwings at Benmore Botanic Gardens today (Sybil Baldwin). Waxwing – Benmore, Cowal 4 Dec (Sybil Baldwin). 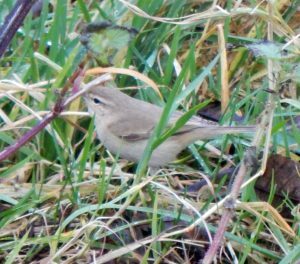 03 December: Tiree: a ‘Siberian’ Chiffchaff in the garden at Balephuil today, plus 1 Fieldfare and 3 Water Rails (John Bowler). 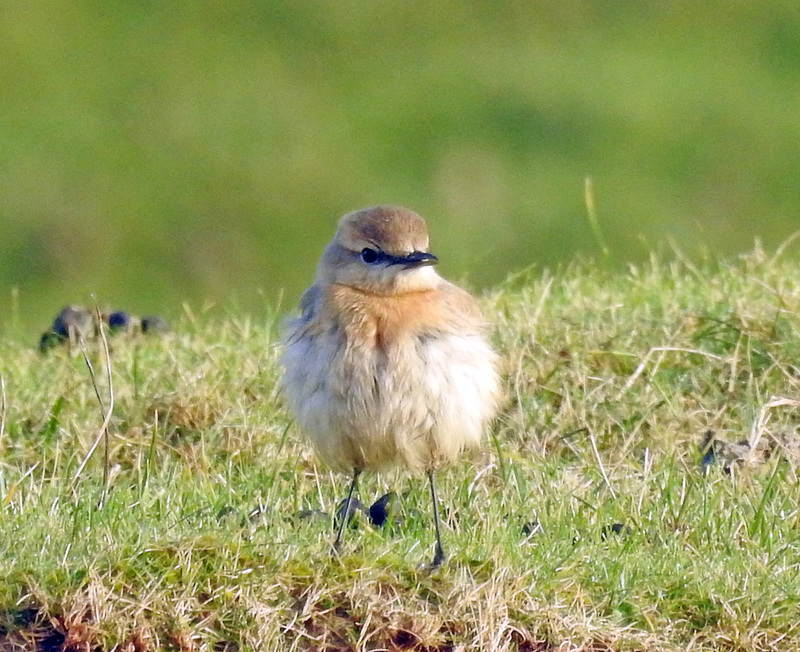 Islay: the Isabelline Wheatear is still nr. Machir Bay (Stu Crutchfield). ‘Siberian’ Chiffchaff – Tiree 3 Dec (John Bowler). 02 December: Tiree: a male Green-winged Teal at Loch Bhassapol (presumably the same as Clachan on 15 Nov). Also a juv Glaucous Gull off Hough Bay plus 4 Long-tailed Duck, 65 Purple Sandpiper and 2 legged-flagged Sanderling there. A Norwegian leg-flagged Bar-tailed Godwit was at Balephetrish Bay (John Bowler). 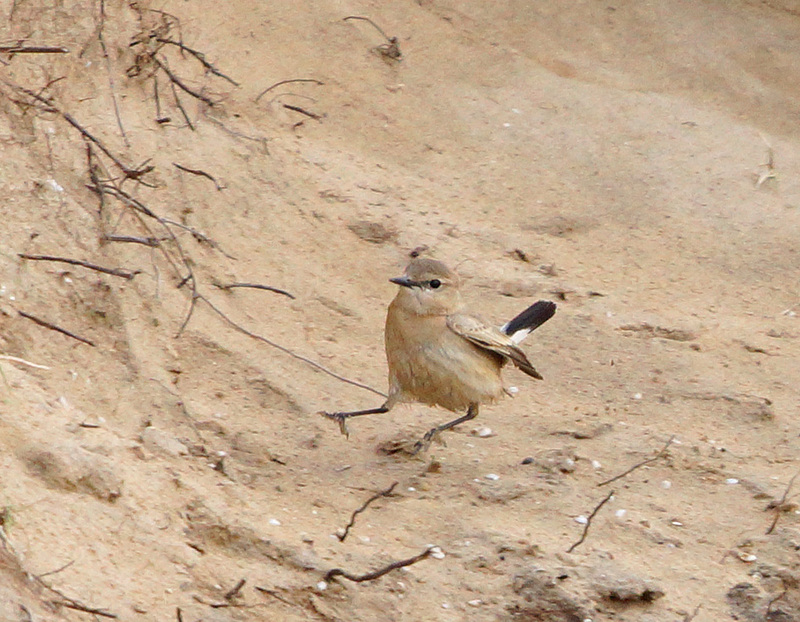 1w Isabelline Wheatear – Islay 1 Dec (Jim Dickson). 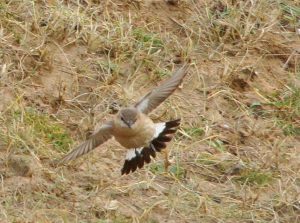 01 December: Islay: managed to get confirmatory ID photos of the tail and under-wing coverts of the first-winter Isabelline Wheatear at Machir Bay (Jim Dickson). Only five previous Scottish records with the last in 2005. 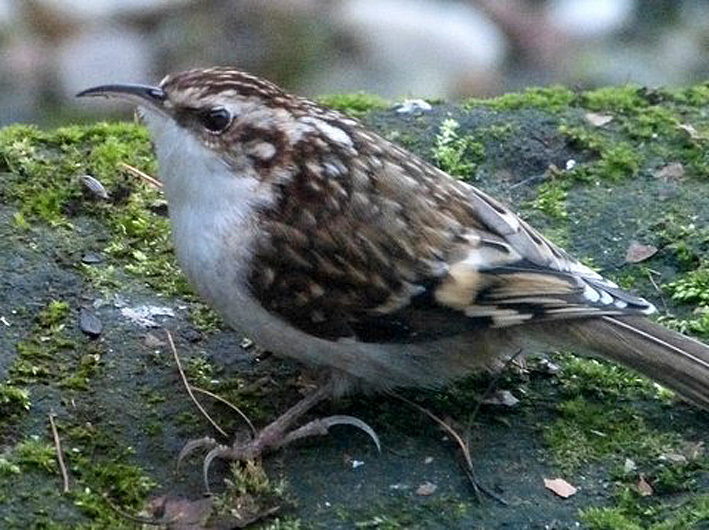 This autumn has seen seven arrive in the UK including this first for Argyll and another in Shetland. North Argyll: a late WeBS count at Loch Creran included 9 Goldeneye and a record 6 drake Goosander (Robin Harvey). 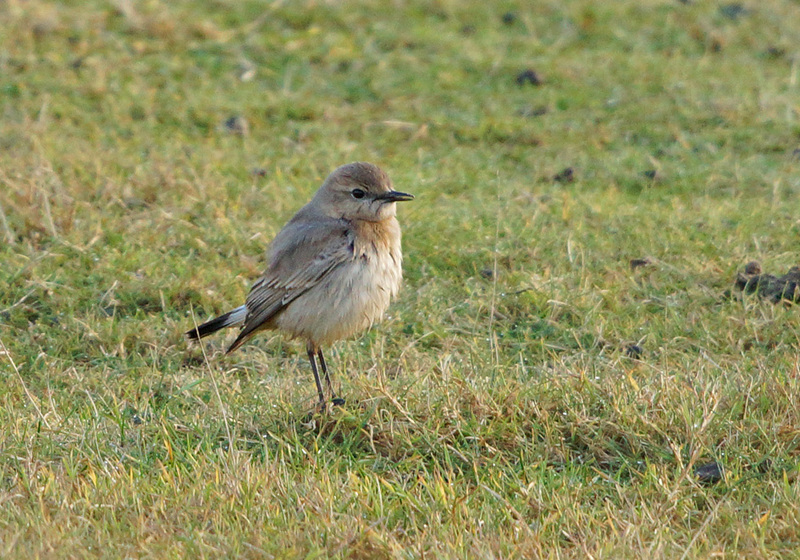 1w Isabelline Wheater – Islay 1 Dec (Jim Dickson). 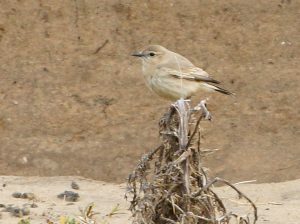 For Recent Reports prior to 1 January 2016 click here.